Are you familiar with FMLA? 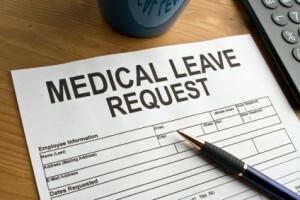 Are you a covered employer of Family and Medical Leave Act (FMLA)? If so, putting together an established program to track FMLA should be a top priority for your organization. It only takes one confused or misinformed employee to cost an employer tens of thousands of dollars in a lawsuit. Case in point: Dollar v. Smithway Motor Express, Inc., 787 F.Supp.2d 896 (N.D. Iowas 2011). In this lawsuit, the employee notified their employer of a need for leave due to a serious health condition (depression) and the employer did not inform the employee of their right to FMLA, firing the employee instead of reinstating their position upon return. A grand sum of $296,112 was awarded to the employee by the Federal court. Family and Medical Leave Act (FMLA) entitles eligible employees of covered employers to take unpaid, job-protected leave for specified family and medical reasons. It is essential all covered employers have a program established in their workplace. Covered employers of FMLA are typically private employers (with 50 or more employees), public agencies, or public & private elementary or secondary schools. Only eligible employees qualify for FMLA leave, and it is up to the employer to determine this eligibility. An eligible employee is one who a) works for a covered employer, b) has worked for the employer for at least 12 months with at least 1,250 hours of service for the employer during the 12-month period immediately preceding the leave, and c) works at a location where the employer has at least 50 employees within a 75-mile radius. Post a FMLA Poster (WH-1420) in a common area of your workplace such as a break room. This poster is available at no cost on the Wage and Hour Division Website at http://www.dol.gove/whd/fmla. The day an employee requests an extended leave longer than 3 days, you should immediately complete the Notice of Eligibility and Rights & Responsibility (Form WH–381). This form will help you, the employer, determine if the employee is eligible for FMLA. If the employee is not eligible provide them with a copy of the completed WH-381 form and discuss any company policy in place for leaves with them. If an employee is eligible for FMLA also complete the employer section of Certification of Health Care Provider (Form WH-380 E for employee leave) or (Form WH-380 F for family leave). Give these documents to the employee on the day leave is requested. Keep receipt in form of employee signature as to the date the forms were given to the employee. This is your only proof that documents were provided to the employee. Once an employee returns a completed form WH-380 E or WH-380 F showing certification from their health care provider, the employer will need to determine if the leave is for a serious injury either to them or a family member. The employer has 5 days to review the documents and make a determination. You must then complete a Designation Notice Form (WH-382). The designation form should be provided to the employee within the 5-day time frame, with employee signature on record as to what day they were notified of an employer designation. Keep record of all communication you have with the employee during their time of leave. Do not pressure the employee to return to work or ask employee to complete tasks at home during their time of leave. You may visit http://www.dol.gov/whd/fmla/ for more information.